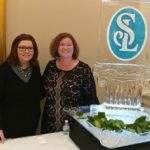 Each year, the gala celebrates achievements of St. Louis area residents ages 75+ who have dedicated their “golden years” to remaining active in the community and bettering the region by helping others. The 2017 class of Ageless Remarkable St. Louisans joined a group of 318 older adults who were recognized over the past 15 years in this St. Andrew’s program. 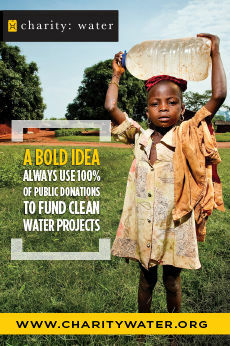 Bernice was named one of the 100 Most Inspiring St. Louisans in 2009 by the St. Louis American. She remains active as a counselor for Agape Christian Counseling, helping individuals and families cope with their challenges and find peace. She also serves as convener of the Congregational Crisis Committee for the Presbytery of Giddings-Lovejoy in St. Louis, which seeks to resolve conflicts and promote social justice. With a master’s degree in social work, she has served thousands of people in crisis as a former director of a mental health agency, addiction counselor, church elder and professional instructor, always demonstrating her love of God in her work and throughout her full life. 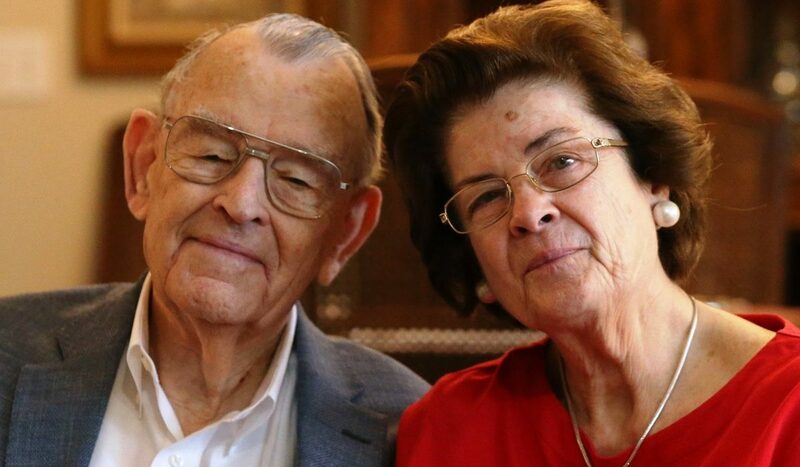 The Carpenters have been married for 57 years, changing the lives of others along the way. Hellen embarked on her second career when she wrote a biography about her grandfather, Dr. James Naismith, the inventor of the game of basketball. 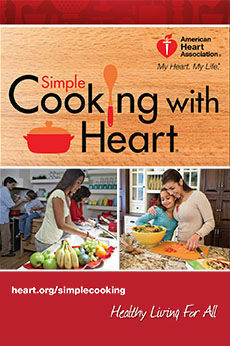 The book and her related presentations help promote teamwork, skills and determination to audiences young and old. 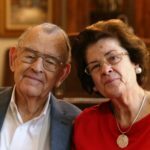 Hellen volunteers at the Small College Basketball Hall of Fame, into which Naismith was posthumously inducted, and also lends her time and talents to various educational institutions. Will, a former Naval reservist and Army captain, is internationally renowned for his 25 years of work crafting a treaty to ban chemical weapons. His efforts led to the Organization for the Prohibition of Chemical Weapons being awarded the Nobel Peace Prize in 2013. 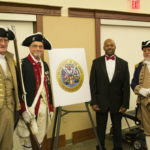 He served on numerous boards in an advisory capacity and volunteers at the St. Louis Academy of Science, the St. Louis Science Center and the Chesterfield Development Advisory Council, as well as several universities. 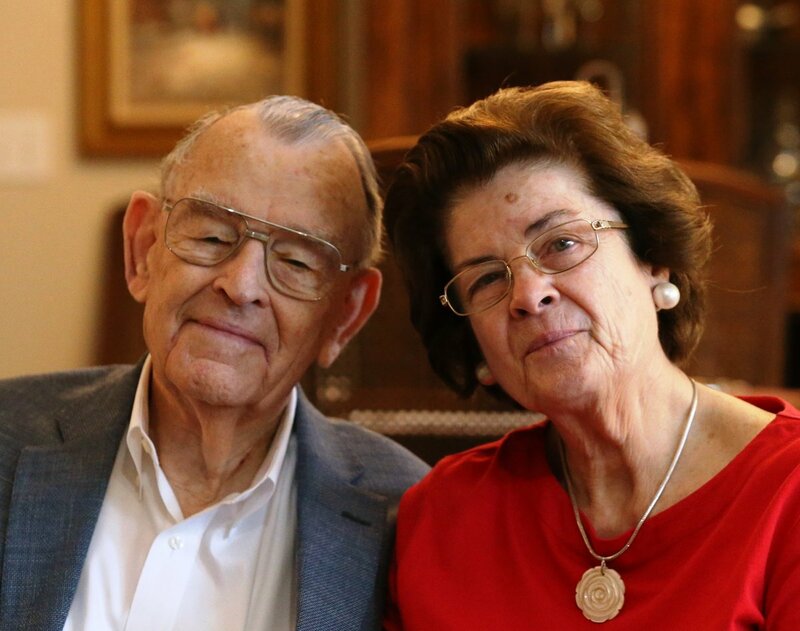 The Carpenters have funded scholarships at the University of Missouri – St. Louis, Webster University, Purdue, Mississippi State University, Springfield University in Massachusetts and Oklahoma State University. Chesterfield Elementary School was named a 2017 National Blue Ribbon School, the latest on a list of 10 Rockwood School District schools to have earned this distinction. Rockwood Superintendent Eric Knost proudly cut to the chase in explaining the designation, saying it means Chesterfield Elementary has been determined to be one of the best schools in the United States. 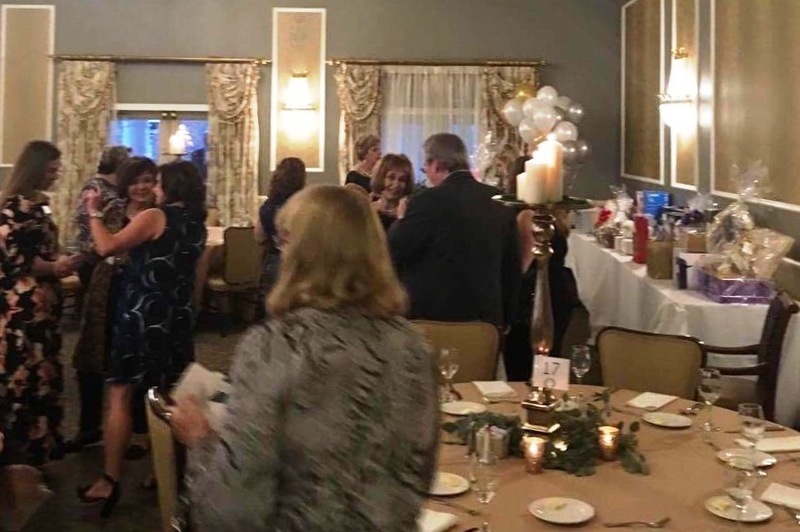 Supporters of West St. Louis County food pantry organization Circle of Concern celebrated the group’s 50th anniversary at Forest Hills Country Club in Clarkson Valley. Circle of Concern is a nonprofit social services agency that serves low-income families in West St. Louis County. The organization helps feed approximately 1,200 households annually. 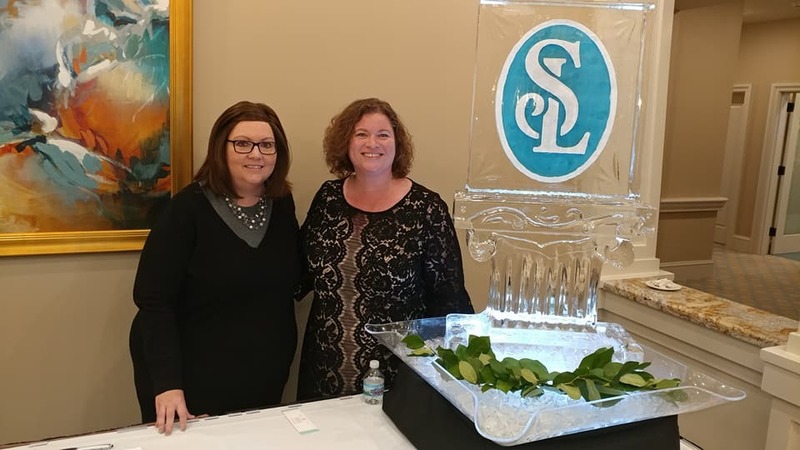 Its staffers offer financial support, scholarships, job mentoring, children’s programs and holiday events to allow clients to use their limited resources to regain their financial footing. 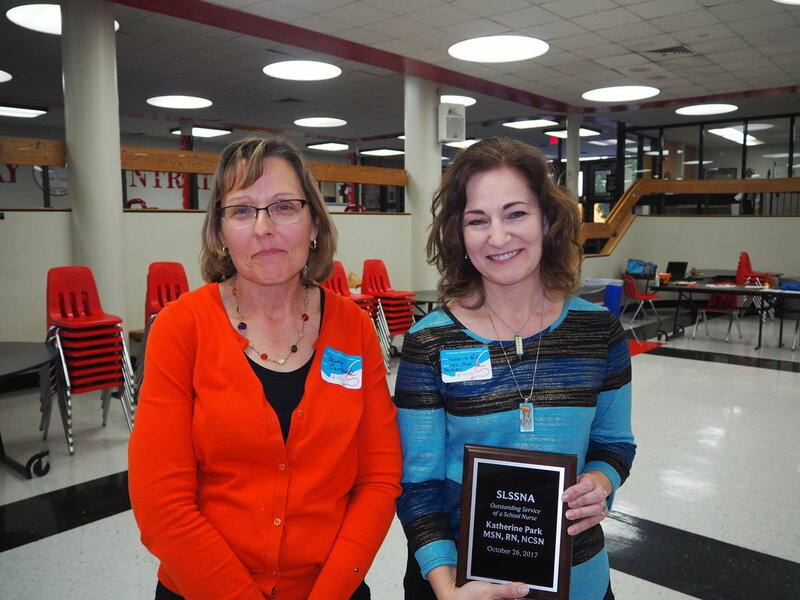 One of Parkway’s school nurses, Katherine Park, received the Outstanding Service as a School Nurse Award from the Suburban St. Louis School Nurse Association. 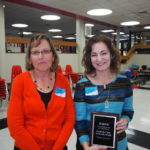 She is a leader in developing safe practices for schools in taking care of students with diabetes. She developed a toolkit to train unlicensed personnel in the care of students with type 1 diabetes. 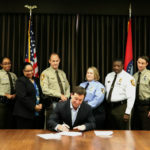 As a result of this toolkit, countless school nurses and unlicensed school staff have been educated in Parkway Schools, the St. Louis suburban area and throughout Missouri. 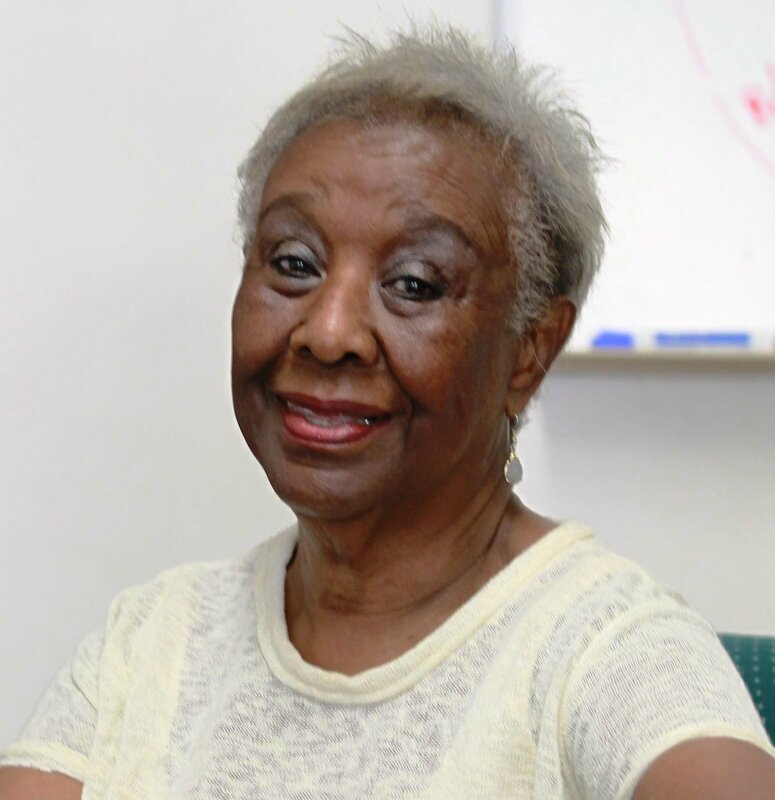 She even helped develop statewide diabetes training standards for school personnel. She also is creating dialogue for edutainment training modules for nurses about diabetes. 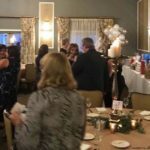 The end of December 2017 brought the official closing of John Anthony Jewelers, 14829 Clayton Road in Chesterfield, after 30+ years of operations. “We developed personal relationships with loyal customers, and the hardest part is leaving them,” John Anthony says. Marquette High School senior Zack Lesmeister was named the Saint Louis Youth Poet Laureate. 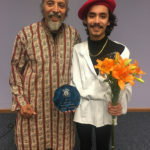 The Saint Louis Youth Poet Laureate is a joint program of Urban Word NYC and UrbArts. 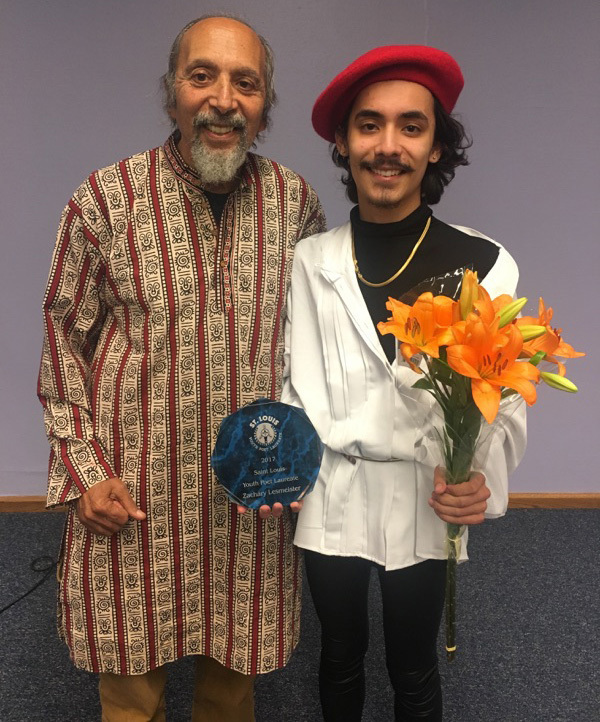 The program identifies young writers and leaders who are committed to civic and community engagement, poetry and performance, diversity and inclusion and education across greater St. Louis. Zack’s submission included five original poems and a resumé. A group of judges selected 12 finalists, with one teen honored with the top title. Marquette Principal Greg Mathison says Zack is an incredibly gifted poet and writer. Zack says he plans to attend either Washington University in St. Louis or University of Wisconsin in Madison. He will double major in creative writing and English. 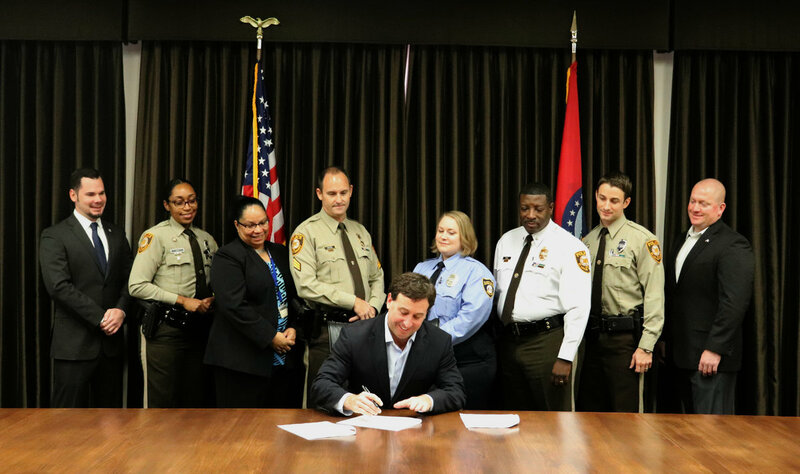 St. Louis County Executive Steve Stenger signed legislation in November that gave pay raises to St. Louis County Police and St. Louis County corrections officers. 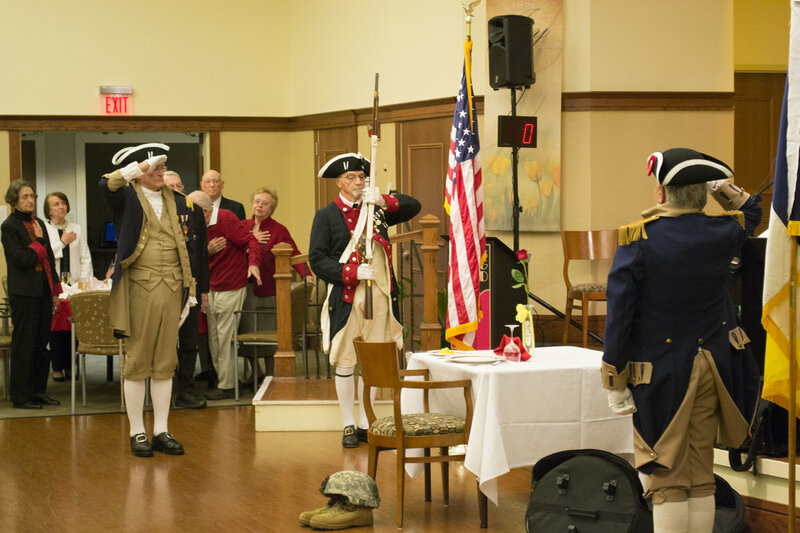 Friendship Village Chesterfield hosted its second annual Veterans Ball with a dinner and ceremony that included a Fallen Comrade Dedication. “We dedicate this table, set for one, in remembrance of those who are missing in our midst,” Command Sgt. Maj. Mark Golliday, food and beverage director of Friendship Village Chesterfield, says. He says each item on the table was placed there for specific reasons: The white linen tablecloth represents purity of intentions, the single rose represents families and loved ones, and the glass placed upside down signifies those who are not here to participate in the toast. 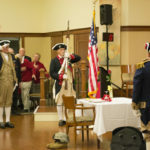 Golliday says having the Sons of the American Revolution participate at this year’s event was the highlight. The Sheridan at Chesterfield, a signature collection community new to Chesterfield, recently held an open house. The Sheridan offers 91 luxury assisted living and memory care apartments located at 16300 Justus Post Road. The staff work with residents to develop individual service plans that foster independence, while actively engaging minds, bodies and spirits. Different arrangements are possible at The Sheridan, including short-term stays, skilled nursing or rehabilitation assistance. Spirit of St. Louis Airport founder Paul Haglin was honored with a Progress 64 West Lifetime Achievement Award. He launched the airport in 1964 at the location known as “Gumbo,” a stretch of farmland in Chesterfield. Spirit Airport currently houses hundreds of aircraft, employs 3,000+ people and has an annual economic impact of $400 million. 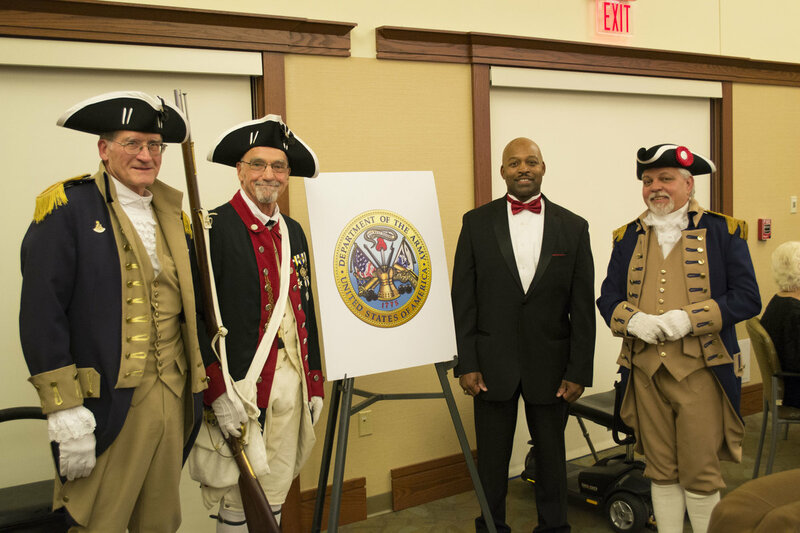 Progress 64 West is a not-for-profit civic organization that promotes growth along the Interstate 64 corridor through St. Louis and St. Charles Counties in Missouri. 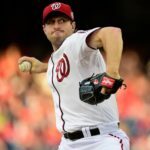 FORMER CHESTERFIELD ATHLETE WINS CY YOUNG AWARD AGAIN! 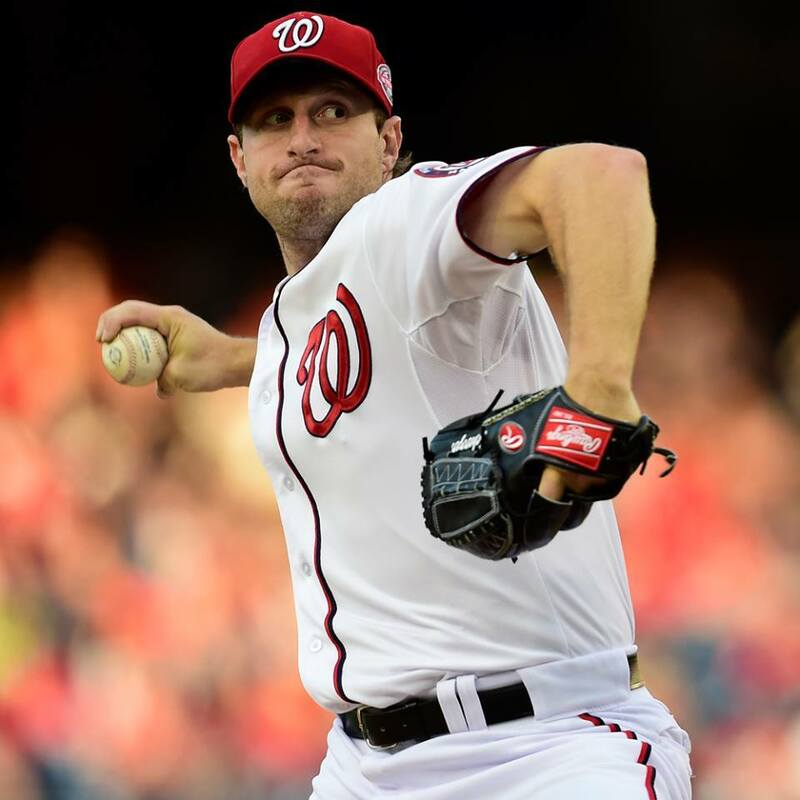 Max Scherzer of the Washington Nationals, a previous Chesterfield baseball and Parkway Central High School sports star, was presented his third Cy Young Award in November. It was his second straight in the National League. He became the 10th pitcher with at least three Cy Youngs. The Cy Young Award is given annually to the best pitchers in Major League Baseball, one each for the American League and National League. The award was first introduced in 1956 by MLB Commissioner Ford Frick in honor of Hall of Fame pitcher Cy Young, who died in 1955. Scherzer attended the University of Missouri-Columbia. He previously was drafted by the St. Louis Cardinals and the Arizona Diamondbacks. Walnut Grill restaurant staffers at 1386 Clarkson Clayton Center held their second annual Toy Drive for donations to Friends of Kids With Cancer. 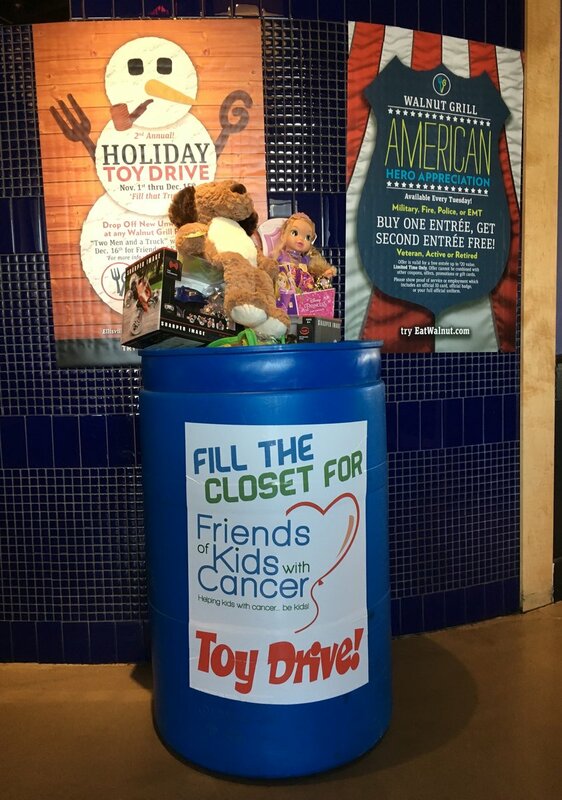 Toys were collected through December 16, with representatives of Two Men And A Truck coming to the restaurant to pick up the gifts in their pursuit to fill an entire truck of donations for children for the holidays.